Gregory Wayne Croft I, age 53. Sunrise March 19, 1961 in Youngstown, OH and Sunset November 13, 2014 in Columbus, OH. Gregory was a graduate of Youngstown East High School, a veteran Military Police in the U.S. Army and owner of Platinum Status Entertainment, Croft Entertainment Complex (CEC), Builder Plus and Serusha –Steiner Associates. Gregory was a member of Holy Trinity Baptist Church in Youngstown and attended Triedstone Baptist Church in Columbus. He was preceded in death by his father Weymouth Croft. Left to cherish his memory, wife of 33 years Marcella Croft, mother Janette (Edward) Clinkscale, children Gregory Croft II, LaToya Croft and Marcus Croft, brother Gary (Adrian) Croft, sister Kimberly (Herbert) Thornton, grandchildren Malachi Croft Jackson, JayShawn Croft and Myjoi Desroches-Croft and a host of other family and friends. 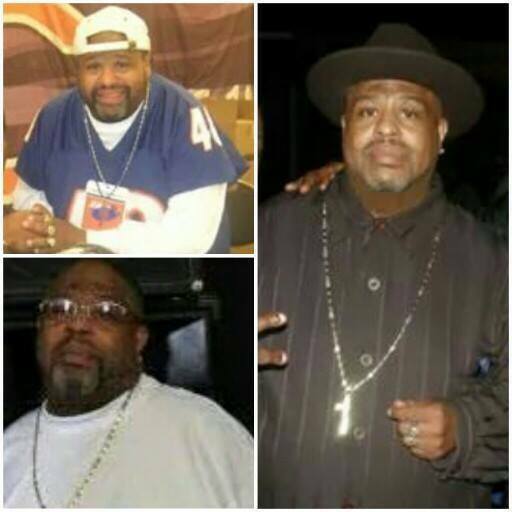 Visitation 6:00pm and Home Going Service 7:00pm Wednesday November 19, 2014 at Triedstone Baptist Church 858 E. 3rd Ave., Columbus, OH. Interment 12:00 noon Thursday at Tod Cemetery in Youngstown, OH. I am praying for the family. God is still in control. It hurt my heart to hear about Greg’s passing. Just remember the joy of the Lord is your strength AND remember all of the laughter filled hours you shared with Greg. I know there was a lot of laughter around him. We will remember you in our prayers. I am so sorry to hear that Greg has left us. As children growing up with one another, you hope for a life filled with promise. Greg fulfilled that promise and was blessed. I pray that knowing this will bring you all comfort and peace. Our prayers and thoughts are with you and your family in your time of sorrow. My condolences to the Croft Family it seems just like yesterday that we were playing together as kids and teenagers but now your gone, but our Father in Heaven has you now and for the people that don’t know you had a heart of gold growing up great upbringing I will miss you my Friend much Love always Greg. To the family of Greg, you have our deepest sympathy in your loss. No words can express the pain of losing a loved one in death. God will soon remove all tears of sorrow and pain and death will be no more (Revelation 21:4). To the family of Greg, you have our condolences in your loss. No words can express the pain of losing a loved one in death. God will wipe away all tears of sorrow and death will be no more (Revelation 21:4). This is Micha from East High. We graduated together Class of ’82 and we sat together in Mr. DiPiero’s Biology class. You would give me the wrong answer on purpose and the class would crack up. I saw you in Youngstown last Friday at the Home Savings & Loans Bank on the East side when I got off work around 4:30 p.m. but I wasn’t sure if it was you. Then I saw your brother’s obituary and I knew it was you. I regret not going up to you in line. I am so sorry about the loss of your brother. He was a wonderful person from what I read. I will keep you and your family in prayer. Be encourage and God Bless. With Deepest Sympathy, Michaela Jackson (Please let me konw you received this via txt or call on my cell: 330-501-3464. To The Croft Family-Greg and Marcella will always be the “High School” couple that made a beautiful family and stayed together. In Youngstown or Columbus, when you would see one, the other was always close by, one the phone or on the way. Marcella, you experienced a love most of us just dream about or pretend to have. My pray for you is to allow sweet memories of Greg to dry the tears and remember to thank God, you had a true love for over 30 years.